A native of upstate New York, Jaymee earned a B.A. in environmental science from Binghamton University and a M.S. in education from the University of Phoenix. She also attended Teton Science School’s residency program in environmental education. 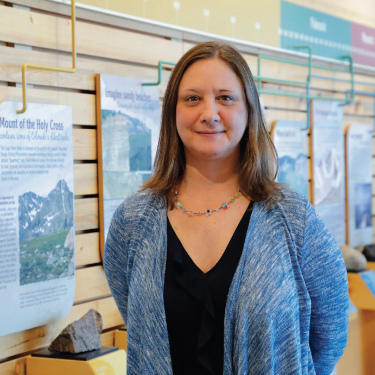 Jamie has worked as a naturalist for the Vail Nature Center, as director of environmental education for an east coast summer camp, as one of the first educators at Gore Range Natural Science School and taught middle school science at the Eagle County Charter Academy. She rejoined Walking Mountains in 2009 as director of graduate programs. Jaymee lives in Eagle with her husband and two children where she enjoys reading, hiking, camping, canoeing and being outside.